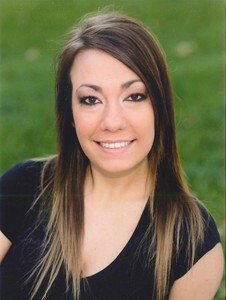 Jenny Marie Flohrschutz, 23, of Olathe, passed away on November 17, 2015. She was born on November 27, 1991 to Brian and Karen Flohrschutz in Des Moines, Iowa. Jenny moved with her family to Olathe, Kansas in 1992 where she lived the remainder of her life. Following her graduation from Olathe South High School in 2010, Jenny earned a Bachelor of Arts degree in Psychology / Sociology from Northwest Missouri State University in 2014. During her time in college she was a member of the Phi Mu – Zeta Lambda Sorority. Shortly after graduation Jenny began working at Claire’s, a retail jewelry store. She advanced quickly and was assistant manager at the time of her passing. Jenny’s life was far too short but her contagious smile and bubbly personality will live on in all of our hearts forever. Jenny is survived by her loving father Brian and sister Jessica; grandmother Alberta Flohrschutz; grandparents Jack and JoAnn Price. She was preceded in death by her mother Karen and grandfather Kenny Flohrschutz. In lieu of flowers, memorial contributions may be given to Northwest Foundation, in honor of Jenny Flohrschutz, 800 University Drive, Maryville, MO 64468. To leave a special message for the family or to share a memory of Jenny, please click on the "Share Memories" tab above. Add your memories to the guest book of Jenny Flohrschutz. Jenny has and always will have a special place in my heart. I cherished every moment I spent with her as a young girl, teen and adult. She brought light to my life when my goal was to give her joy. I have so many memories, wonderful memories of Jenny and Jessica that make me smile when I think of them. Brian, you are a dedicated father. The three of you forged a life together after Karen passed. It wasn't easy but you always had each other. I pray for you constantly, Brian and Jessica. This loss is too big for any human to comprehend. Each and every person whose life Jenny touched has been enriched. When you see the light in the darkness, know that it is Jenny's bright and shining smile watching over you both. Psalm 46:1 says: "God is our refuge and strength, a help that is readily found in times of distress." Brian, I am so sorry for your loss. My prayers go out to you and your family to find peace and comfort during this difficult time. I hadn't known Jenny for that long, but she had such a kind and generous heart! I am the Store Manager at the Claires store at Town Center, and before I got transferred to the store, it was a little short staffed. Jenny was someone that we could always rely on. She would always help out other stores, and always work so hard when she was there. I don't think there was a mean bone in her body. It was probably about a month ago that we were sitting next to each other at the Store Manager Holiday meeting. When I heard the news today, I was in total shock. I am so sorry for your loss. Please know that I am praying for your family. She will be truly missed. Brian and family; We are heartbroken for your loss. Know that our family is praying for you. May God give you strength in this difficult time. I'm deeply sorry for your loss. I was a friend of Jenny's back in our Scarborough days. My twin sister, Amanda and I often hung out with Jenny & Michaela, doing sleepovers and having play dates together. I can remember Jenny's laugh and smile as clear as day, even though it's been quite some time since I'd seen her. My heart ached to hear the news of her passing, but I'm confident that she is in a better place where there is no suffering or hardship. I pray that God gives you both comfort, strength and peace that surpasses all understanding through this extremely difficult time. I didn't know Jenny. I was the only motorist at the accident scene who stopped to render aid. Please know that I am keeping Jenny and you, her family in my thoughts and prayers. It sounds like Jenny was a wonderful human being and I pray that God wraps his gentle arms around your family as you grieve her loss. I had only met Jenny a couple times at Northwest, but every time I saw her, she treated me like we had known each other for years. Her smile brightened up rooms. She always found the good in every situation and lived life to the fullest. She is an angel that I am grateful that is watching over me. My prayers go out to the family, may you find comfort in knowing how much she was loved. Bryan and family, so sorry for your loss of Jennifer. Our heart felt condolences are being sent to you along with our thoughts and prayers. May God hold you in his hands and Bless each and every one of you. There are just too many memories to share. I have known her for pretty much her entire life. She was my sister's best friend. One of the latest memories I have was going to the gym with her and working out. While walking/running on the treadmill, I gave her advice on boys and relationships. She was always like a second sister to me and she will be greatly missed. I am a delivery driver for fed ex ground and ward parkway mall is on my daily route.Before Jenny transferred to the Claire's store at the legend's, she worked at ward parkway and let me tell you that I always enjoyed seeing Jenny with that big beautiful smile of hers.I hadn't seen Jenny for almost a year, I believe and then one day last week,that was not going that well for me and I walked into Claire's and they she stood smiling and instantly making me smile back.She was filling in for them and I was in total shock just a few days later that she passed away.Even though I only knew jenny by way of my job,I will always remember her .She had such a bright future and it just hurts to know that her life ended,way too short.God bless to all of her family and friends, in this very difficult time. Derrill and I enjoyed having Jenny in our daycare for many years. I collected Cherished Teddies and had many in different display cases. Jenny would always notice a new one no matter which cabinet it was displayed in. Jenny and Michaela Brown were like sisters and always played together. Our Sheltie "Rusty" loved to lay his head in her lap as she watched TV. She was a sweet happy little girl and we were very blessed to have had her in our lives. We were so proud of the young woman she became. Jenny overcame back surgery, the loss of her Mother and many other challenges, but came back smiling each time. Jenny was loved and will be missed. Jessica and Brian our prayers and thoughts are with you as you work your way through this difficult time. I didn't know Jenny, but wanted to let Jessica and her Dad know they are in my thoughts and prayers! I am truly sorry for your loss! There are so many memories of you and Ryne flooding through me right now, you will be forever missed. You brightened every day that I got to see you! You made Ryne a better person and you were his best friend. I'm so glad I got to spend some quality time with you as I will always cherish those memories. May your love and laughter live on in all the lives you touched, you were a very special woman! I feel privileged to have known you.